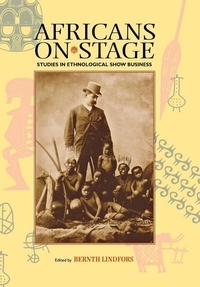 Ethnological show business--that is, the displaying of foreign peoples for commercial and/or educational purposes--has a very long history. In the 19th and 20th centuries some of the most interesting individuals and groups exhibited in Europe and America came from Africa, or were said to come from Africa. African showpeople (real as well as counterfeit), managers and impresarios, and the audiences who came to gape are the featured attractions here--how they individually and in concert helped to shape Western perceptions of Africans.